Compliancy Group is proud to announce that Nurse Practitioners and Home Health Care professionals across the country have adopted its industry-leading HIPAA compliance software, The Guard®, to satisfy the mandatory national standards for HIPAA compliance. Compliancy Group's Achieve, Illustrate, Maintain™ methodology gives health care professionals confidence in their compliance. The Guard is a cloud-based HIPAA compliance solution that guides Nurse Practitioners and Home Health Care professionals through the HIPAA compliance implementation process. Covered entities are guided through the implementation process by Compliancy Group's team of HIPAA experts. Users are guided by one of Compliancy Group's expert Compliance Coaches® via weekly meetings to address the full extent of HIPAA regulation with support through the entire process. "Nurse Practitioners and Home Health Care professionals can fulfill their HIPAA regulatory requirements as covered entities with our team of HIPAA experts," said Vinnie Melo, Senior Account Manager at Compliancy Group. 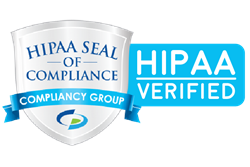 "Compliancy Group gives users a total HIPAA compliance solution, with our HIPAA Seal of Compliance™ Verification, to demonstrate that they have an effective compliance plan in place. Nurse Practitioners and Home Health Care professionals can become confident in their compliance and protect their clients with the Compliancy Group HIPAA Seal of Compliance and our industry-leading support." Compliancy Group's team of expert Compliance Coaches® field questions and guide users through the implementation process, taking the stress out of managing compliance. The Guard is built to address the full extent of HIPAA regulation, including fully automated documentation of policies, procedures, employee training, and remediation plans. With The Guard, health care professionals can focus on running their practice while keeping their patients' data protected and secure. Find out more about how Compliancy Group and the HIPAA Seal of Compliance® can help!